There are more than 8 million registered motorcycles on the roads of the United States, and in the past decade there was an average of close to 4,800 motorcyclist fatalities each year. Nobody wants this number to keep rising, and often all that it takes to save lives is a better understanding of how to share the road. With that in mind, here are some of the best tips for regular drivers when driving around motorcycles. When a vehicle is smaller than a regular car it can be difficult to remember that they are still moving just as fast, and they still need the same amount of space on the road, if not more. Give a motorcycle a full lane, just as you would if it was a full-sized car. When you are following behind a motorcycle, you need to be aware of a few things: first, they can stop more suddenly than a car can, and second, they do not have all of the brake lights that cars have, which means that you may not notice when they are stopping. Give them twice as big of a gap than you would for a car, so allow four seconds between the two of you. Around 40 percent of two-vehicle fatal accidents involving a motorcycle in 2012 were the result of a car trying to turn left as a motorcycle tried to go straight. 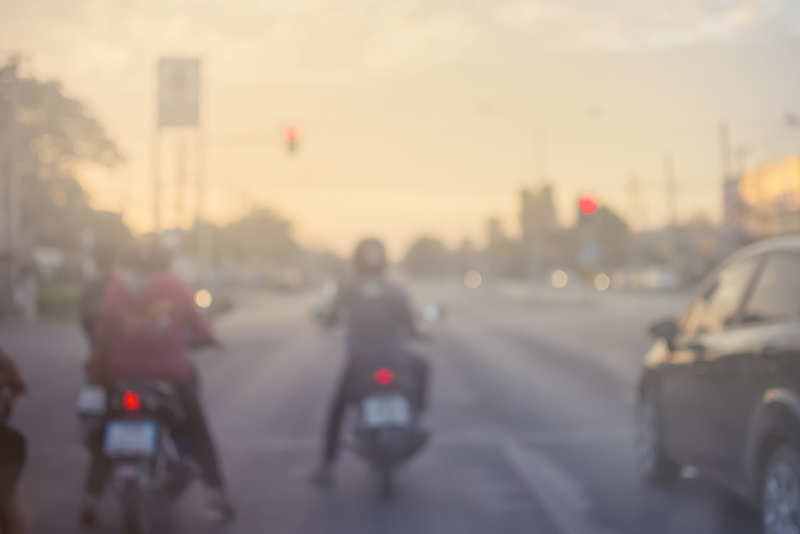 Motorcycles are obviously smaller than cars, but as you are looking to turn at an intersection, be sure to double check for a motorcycle that may be coming in the opposite direction. Remember that, if you are at an intersection, they likely have the right of way and you will be liable for anything that happens. And even when you are not turning left, it is important to check your blind spots regularly. You should be doing this anyway, especially before you change lanes, and the main reason why is to look out for small vehicles like motorcycles that you could end up moving into. Every driver should exercise more caution when driving in hazardous weather, but motorcyclists are more affected by things such as rain, snow, or sleet; other motorists should be conscious of this when confronted with the less-than-ideal weather that crops up from time to time. Lastly, this is more of a general driving tip, but it is important to practice defensive driving on the road. Rather than doing whatever you can to get from point A to point B in the fastest time possible, instead put on some relaxing music, be considerate of others on the road, and enjoy the drive!